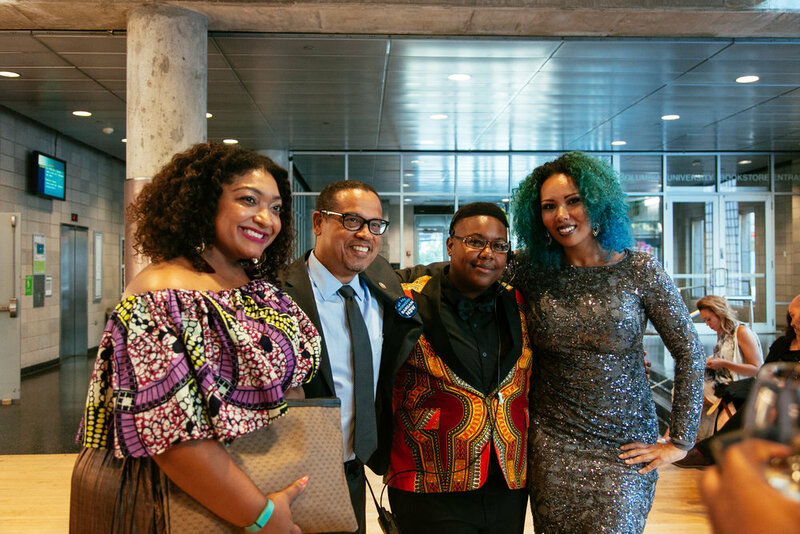 In one of the most tumultuous years in recent U.S. history, AAPF has renewed its commitment to fighting for equality for individuals of all genders, races and nationalities. More than ever, we know that an intersectional approach to race and gender justice is necessary to contend with the forces seeking to dismantle basic rights for so many of us. 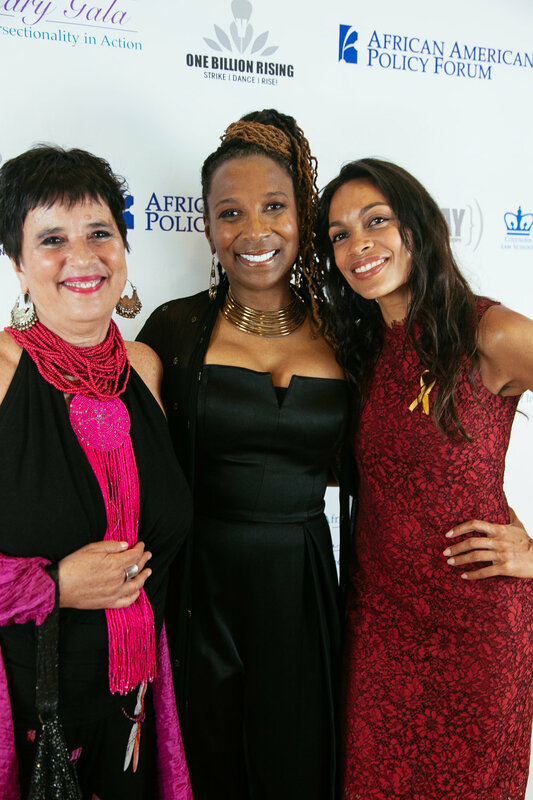 All of us at AAPF thank you, our staunchest supporters, from the bottom of our hearts for your unwavering commitment to intersectional justice. As 2017 comes to a close, we want to share with you all that we’ve accomplished this year and ask for your continued support in 2018. The holidays provide us time to reflect on the year, as we set our intentions for the year ahead. Join AAPF next week as we devote five days to remember the people, issues, and commitments that drove our work in 2017. Be inspired, get involved and partner with us as we carry these commitments forward in 2018! Thank You! We are immensely grateful for you, our supporters who make our work possible. 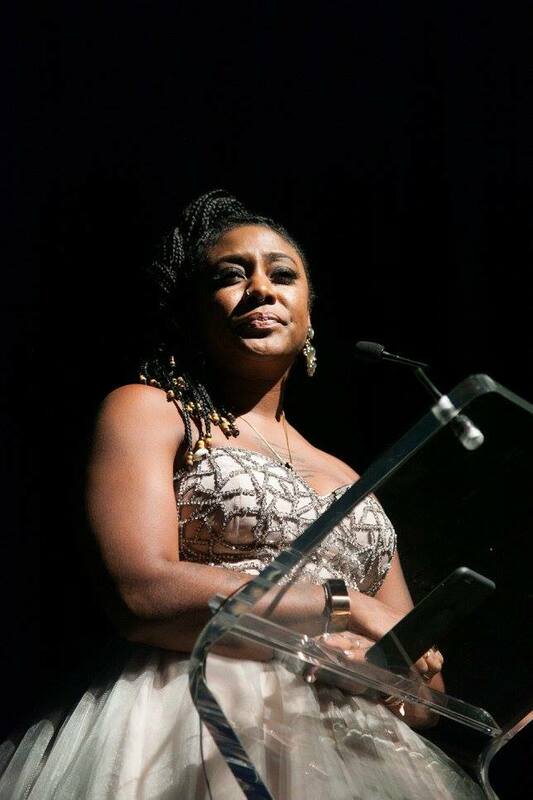 As Alicia Garza put it in Social Justice SOS, "there is no better time than now for us to really figure out how to work intersectional politics in practice." This is the work we are doing every day, and we couldn't do it without you. 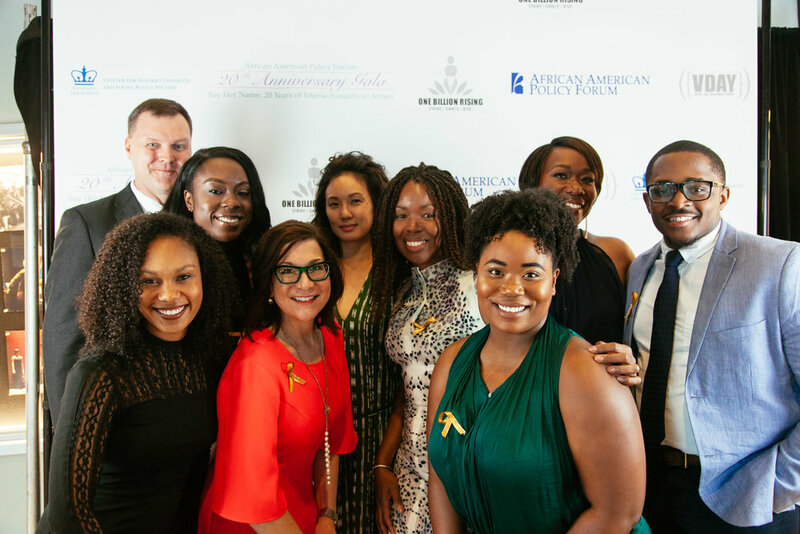 Your contributions allow AAPF to make unprecedented progress on the long road to achieving intersectional justice for all of us. 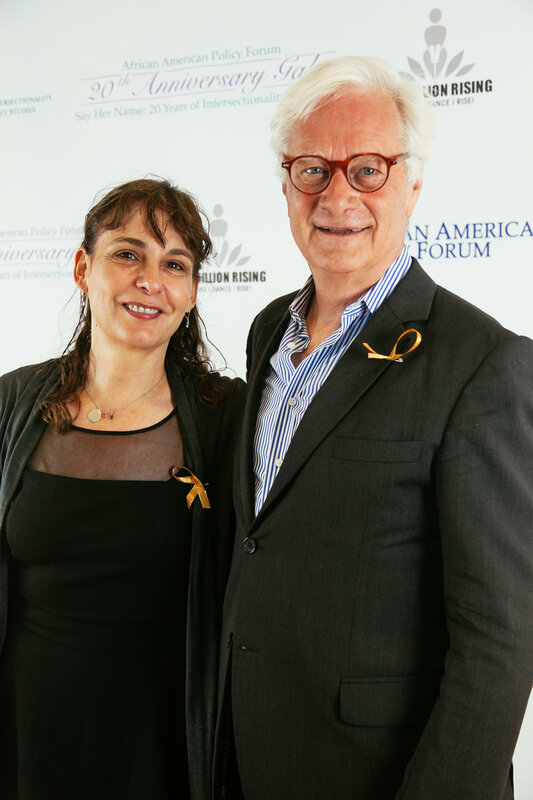 We ask that you make a tax deductible donation to AAPF today! Your support is what keeps us going, and any contribution makes a difference. Last year on November 10th, 3 days after the election, a group of social justice leaders from across the country joined together to hold a virtual conversation, Social Justice SOS: What Happened, What's Coming and Why We Must Join Together Against Hate. 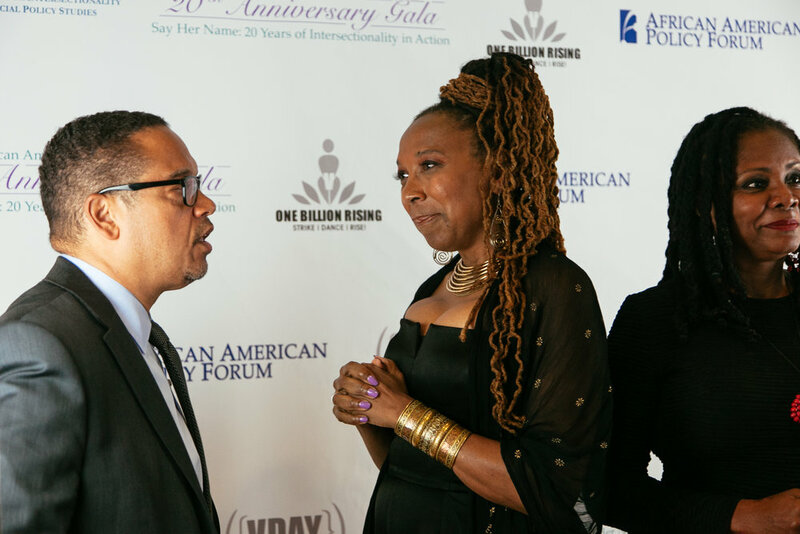 Organized in just 48 hours, the webinar provided valuable insights into America’s past and present histories, uplifted intersectionality and the necessity of coalitional work, and attempted to make sense out of what had just happened to the country. The webinar, which was later published as a report, was received enthusiastically by thousands of viewers and readers. There is much to reflect on as we approach the one year mark of this administration -- the fear turned reality of normalization, the rise of the right, the disastrous memorandums, the attack on DACA, the Muslim Ban, the humanitarian crisis in Puerto Rico, and the list goes on. Join us on November 8th as we revisit the conversation we began last year. We will discuss where we are, how we can move forward, and ways to incorporate intersectional learning and action into our next steps. 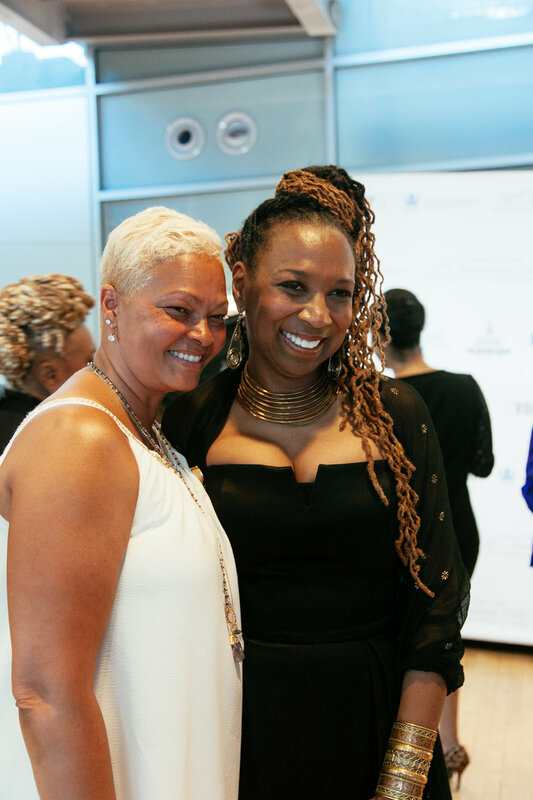 AAPF Co-Founder and Executive Director Kimberlé Williams Crenshaw is being honored today by Brandeis University for her enduring contributions to social justice and equality. 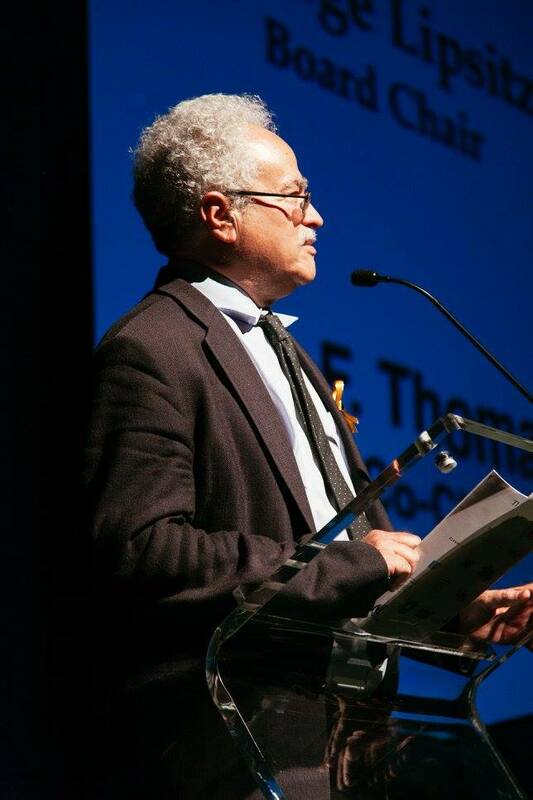 Crenshaw, whose research and writing have galvanized thinking and action about race, racism, and the law worldwide, is receiving theJoseph B. and Toby Gittler Prize, which the university awards annually in recognition of outstanding and lasting scholarly contributions to racial, ethnic, and/or religious relations. Crenshaw will receive the prize at an award ceremony this evening in Waltham, Massachusetts as part of a three-day residency at Brandeis. Earlier in the week, she met with students and faculty, and this afternoon will deliver a public lecture, "Race, Reform, Retrenchment Redux: Critical Race Theory and Intersectionality Beyond Post Racialism." 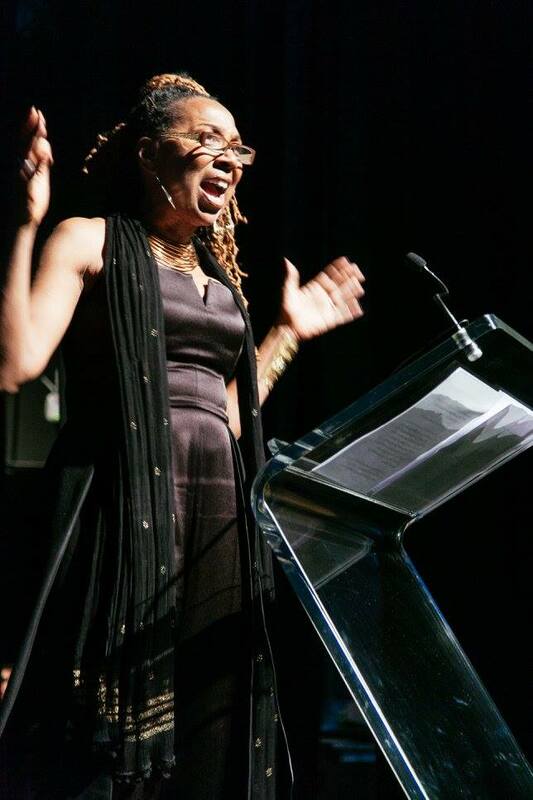 “Kimberlé Crenshaw organically combines sophisticated theoretical analysis, brilliant cultural and political commentary, on-the-ground experiential knowledge, and complex legal argumentation to describe, contest, and fashion remedies for some of the most pressing social problems of our time,” added Devon Carbado, Professor of Law at UCLA and Board Member of the African American Policy Forum. Twenty-eight years ago, Crenshaw coined the term intersectionality to describe the exclusion of black women from feminist theory and policy discourse directed against racism. The particular manner in which black women are subordinated does not reflect the interaction of race and gender and is greater than the sum of both, she argued in an article published in the University of Chicago Law Forum. 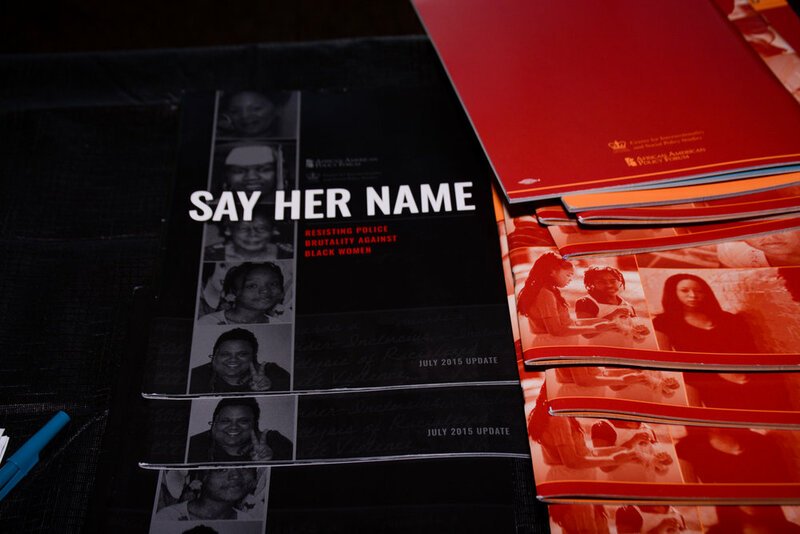 In 2015, Crenshaw launched the Say Her Name campaign, which calls attention to police violence against Black women, and brings together family members of Black women killed by police to heal and advocate for accountability for their lost loved ones. Crenshaw directs the Center for Intersectionality and Social Policy Studies,which she founded in 2011. 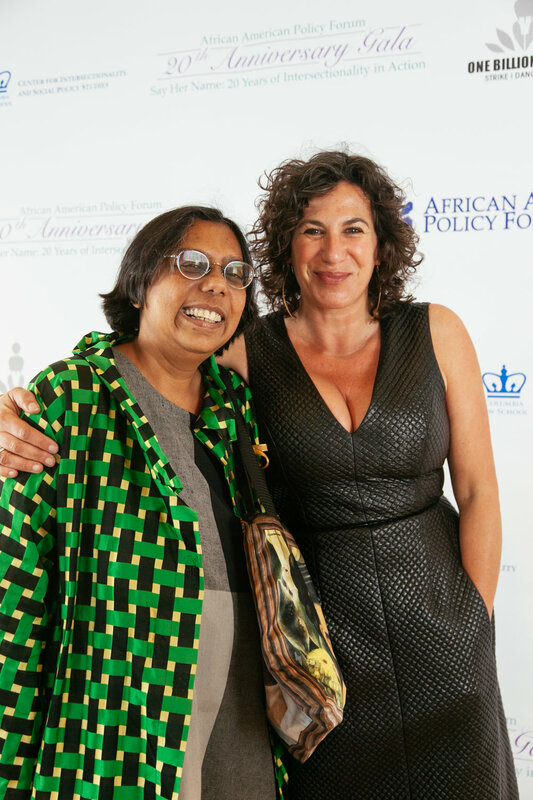 She is co-founder and executive director of The African American Policy Forum, a think tank that promotes efforts to dismantle structural inequality, as well as co-editor of “Critical Race Theory: The Key Writings That Formed the Movement,” the leading anthology on the subject. Crenshaw, whose work has appeared in the Harvard Law Review, the National Black Law Journal, the Stanford Law Review, and the Southern California Law Review, is currently a visiting professor at the London School of Economics’ Gender Institute. She has lectured nationally and internationally on race matters, addressing audiences throughout Europe, Africa, and South America. 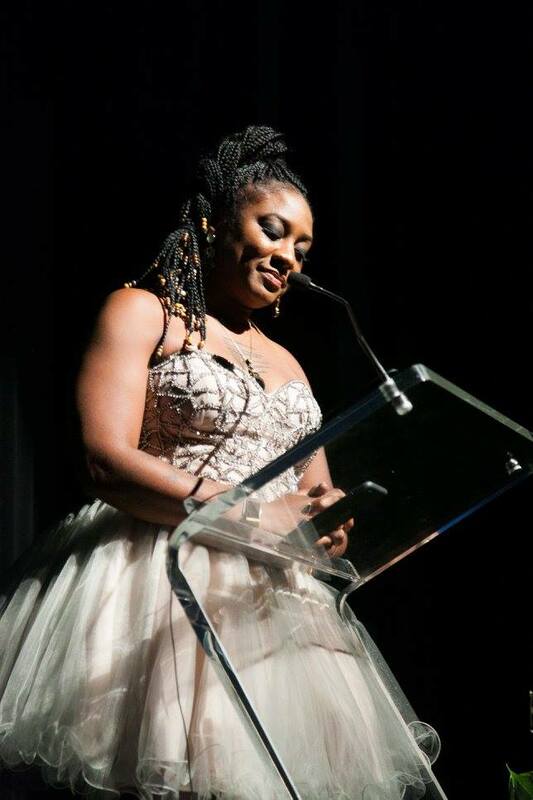 In Oct. 2016 she delivered a TED Talk on intersectionality illuminating #SayHerName, the campaign she launched the year before to call attention to police violence against Black women in the U.S.
Crenshaw also has facilitated workshops for civil rights activists in both Brazil and India, as well as for constitutional court judges in South Africa, where she was instrumental in the drafting of the equality clause of the nation’s constitution. 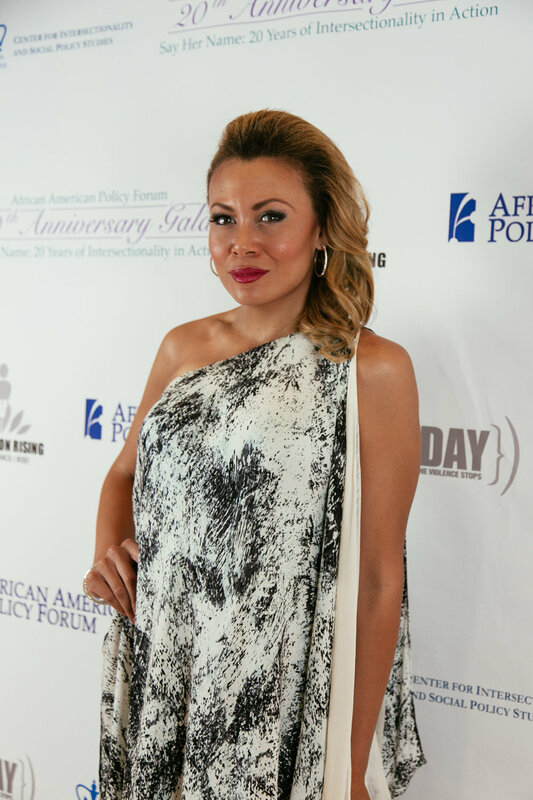 In 2016, Crenshaw became the first woman of color to receive the Outstanding Scholar Award from The Fellows of the American Bar Foundation. She has been recognized by Harvard Law School, where she earned her law degree in 1984, as one of its “Women Inspiring Change,” and by Diverse: Issues in Higher Education, a newsmagazine focused on matters of access and opportunity for all, as an outstanding woman leader. Previous winners of the Gittler Prize include Martha Minow (2015) and Gustavo Gutiérrez (2014). The prize is hosted by the International Center for Ethics, Justice and Public Life on behalf of the Office of the President of Brandeis University. In partnership with the Leila Green Alliance for Black School Educators, the African American Policy Forum (AAPF), Columbia Law School’s Center for Intersectionality and Social Policy Studies (CISPS) and Walsh University DeVille School of Business will host a town hall titled, “Breaking the Silence: Ohio’s Town Hall on Women and Girls of Color,” to elevate the inequalities experienced by girls and women of color for the public, policy-makers, philanthropic leaders and other local decision makers. The town hall will be held on Saturday, October 14 from 10am-2pm at Walsh University’s Betzler Auditorium, 2020 E Maple St, North Canton, OH 44720 and will be moderated by Kimberlé Crenshaw, Professor of Law at UCLA and Columbia Law Schools and Founder/Executive Director of the African American Policy Forum and Columbia Law School’s Center for Intersectionality and Social Policy Studies. During a powerful day of testimony and action, girls and women of color will speak across a range of issues — including health, education, violence and criminalization — in an effort to bring the circumstances facing many women and girls of color out of the shadows and squarely into public policy debates. Increasing public concern for the needs of boys and men of color has prompted a variety of public and private initiatives, yet the challenges facing girls and women of color who live under the same inequitable and impoverished conditions as their male counterparts have not garnered a similar level of investment and support. AAPF and CISPS’s recent report, Black Girls Matter: Pushed Out, Overpoliced and Underprotected, demonstrates that Black girls are punished and criminalized in ways that are similar to and markedly different from their male counterparts. Both Black boys and girls face disproportionate rates of punitive punishment, and across many measures racialized disparities in punishment are in fact greater for girls. Nationally, Black girls are six times as likely to be suspended as white girls, while Black boys are three times as likely as white boys. Zero-tolerance discipline policies funnel girls onto the school-to-prison pipeline along with boys, and Black girls are the fastest growing population in the juvenile justice system. 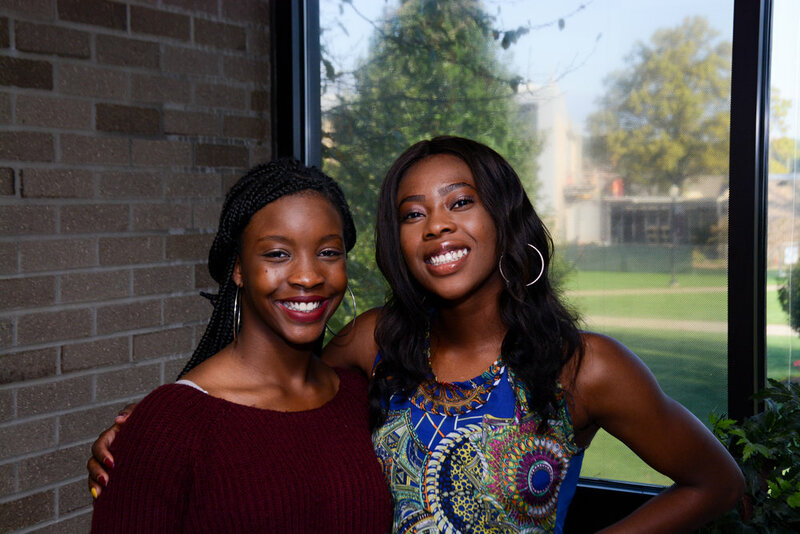 Black girls also experience gender-specific barriers to completing their educations, including teen pregnancy, sexual assault in and outside school, and additional familial caretaking burdens. 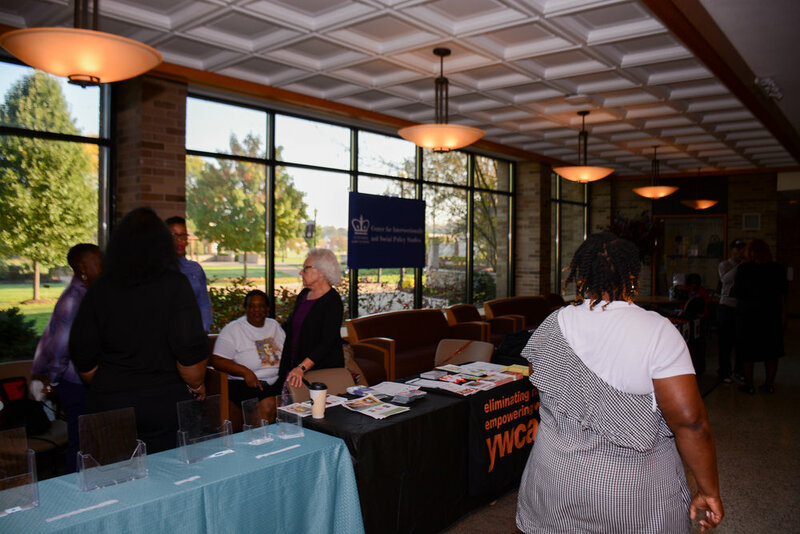 Canton is the twelfth city to host a Breaking Silence Town Hall since AAPF launched the series in 2014. 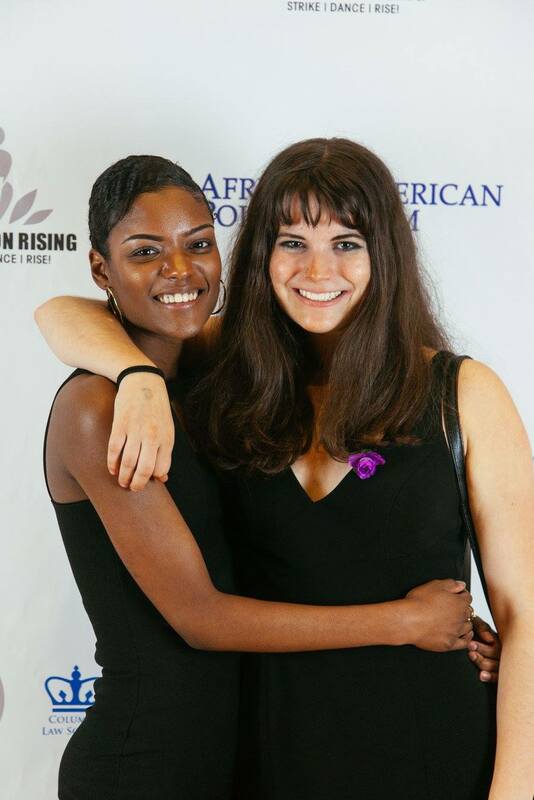 Through “Breaking Silence Ohio,” AAPF and the event’s other organizers hope to elevate the reality that women and girls of color confront devastating personal and institutional barriers in American society, and generate the public will to collect data and generate targeted interventions to address the crisis they face. Press passes are available by request. For more information, please contact Kyndall Clark at Kyndall.clark@aapf.org. 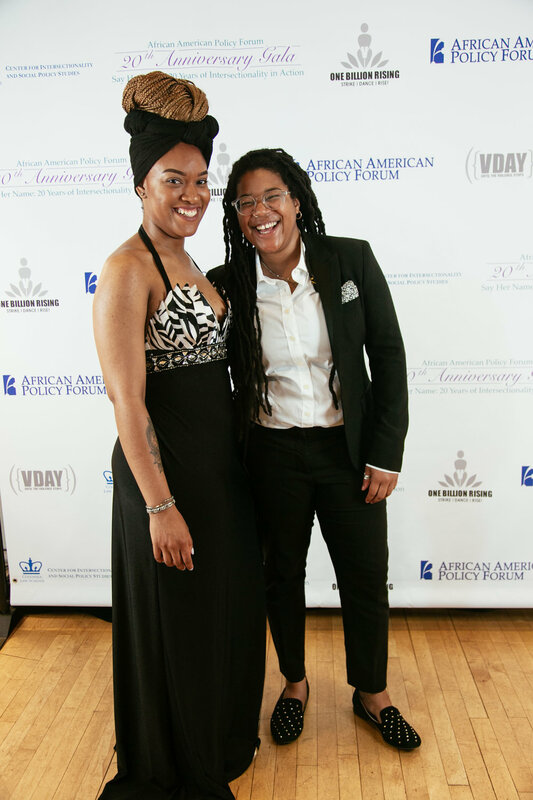 The African American Policy Forum (AAPF) is an innovative think tank founded in 1996 that connects academics, activists and policy-makers to promote efforts to dismantle structural inequality. 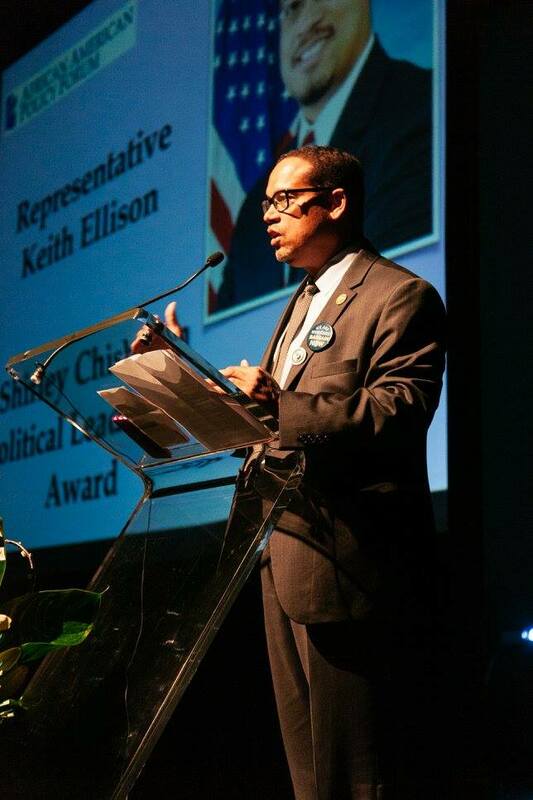 We utilize new ideas and innovative perspectives to transform public discourse and policy. We promote frameworks and strategies that address a vision of racial justice that embraces the intersections of race, gender, class, and the array of barriers that disempower those who are marginalized in society. 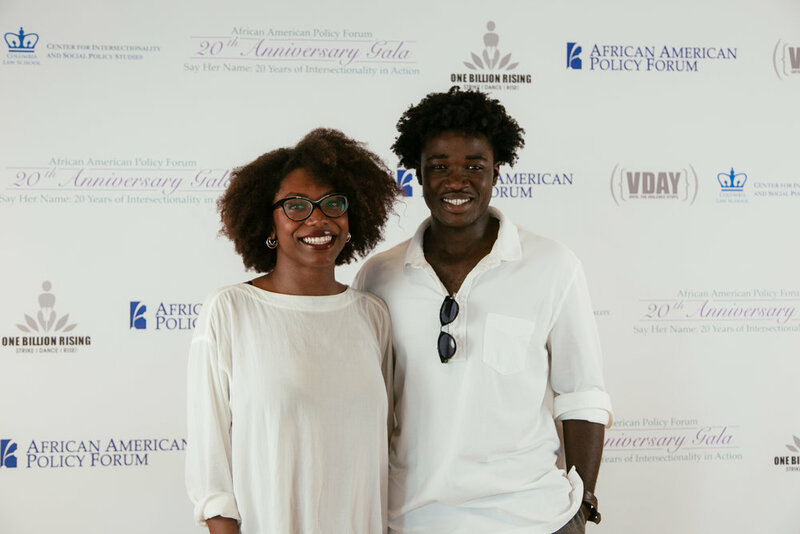 AAPF is dedicated to advancing and expanding racial justice, gender equality, and the indivisibility of all human rights, both in the U.S. and internationally. The Center for Intersectionality and Social Policy Studies at Columbia Law School (CISPS) serves as a global focal point for the development, articulation, and application of intersectionality as both a theoretical framework and a cogent practice in law, human rights, and social justice advocacy. The first such center of its kind, its research projects and initiatives bring together scholars and practitioners from law, sociology, feminist and gender studies, human rights, social justice, and other fields to explore the relationship of intersectionality to their work, to shape more effective remedies, and to promote greater collaboration between and across social movements. 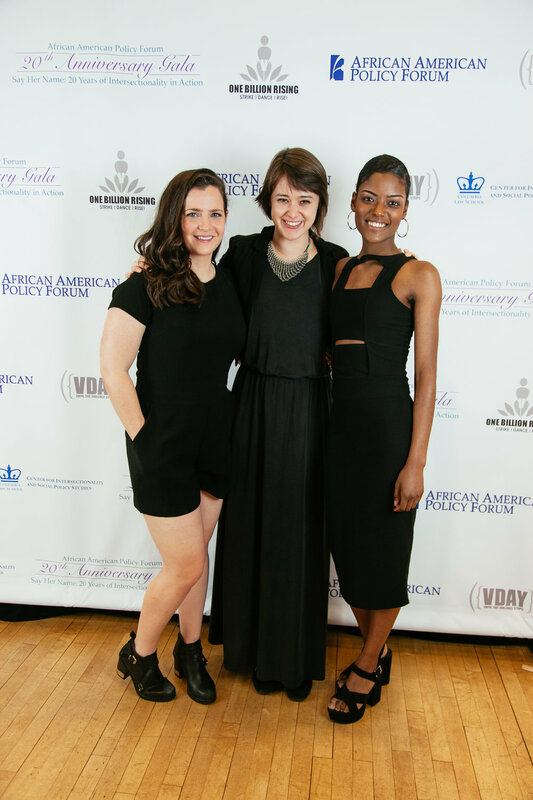 As an interdisciplinary hub, the center partners on projects with the African American Policy Forum, as well as with a variety of other centers and institutes both within the Law School and across the University. 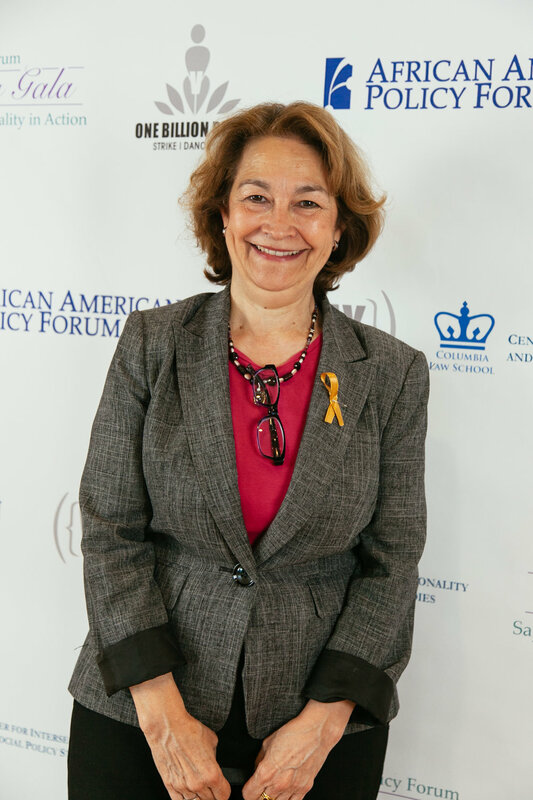 AAPF mourns the tragic loss of two dear friends, Vicky Coles-McAdory and Phyllis Croom. Vicky Coles-McAdory, auntie-mama to India Beaty, was an integral and cherished member of the Say Her Name family. Vicky joined the Say Her Name campaign last year in an effort to bring about justice for her beloved India, who was killed by police officers in Norfolk, VA in February 2016. 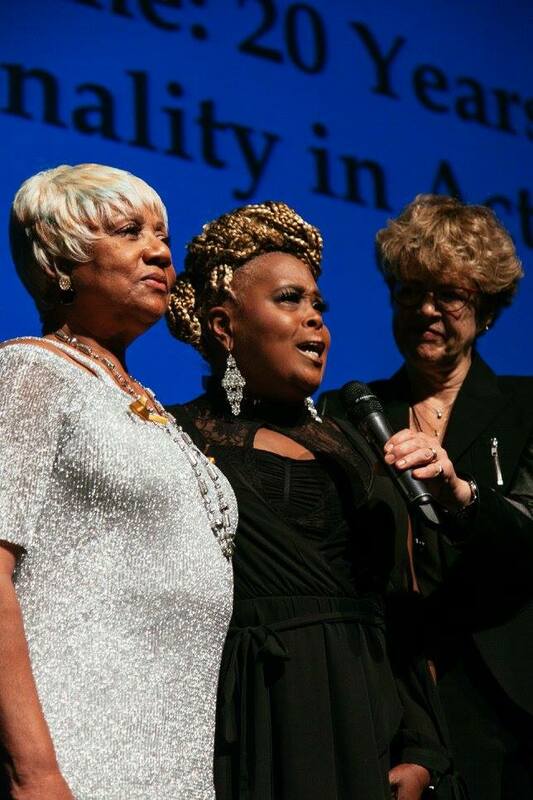 In November 2016, Vicky joined 10 other mothers and sisters of Black women killed by the police for our first Say Her Name Family Weekend, an effort to provide a temporary sanctuary for women who had experienced unimaginable pain and to identify opportunities to support them. Mothers, sisters, and aunts traveled from the West Coast, the DMV Area, and the Southwest to meet each other, uplift their loved ones and strategize for action. After that weekend, Vicky became a steadfast member of our family, joining us for the Women’s March in DC, Say Her Name events in LA, and most recently, our annual Breaking Silence Summer Camp in Poughkeepsie, NY, only a month ago. Even in the face of tragedy, she believed we could find joy. Vicky frequently said that her purpose was to share India’s story so that no other family would have to experience the same pain that she did. As we mourn her death, we also honor her memory by redoubling our efforts to resist police brutality against Black women. We encourage those who would like to join us in honoring Vicky's life to donate to the GoFundMe page set up by her family in her memory. Phyllis Croom, a writer and documentary filmmaker based in Baltimore, was a dear friend and longtime member of the AAPF family. Phyllis worked with AAPF for years, traveling with the team domestically and internationally to document our work. 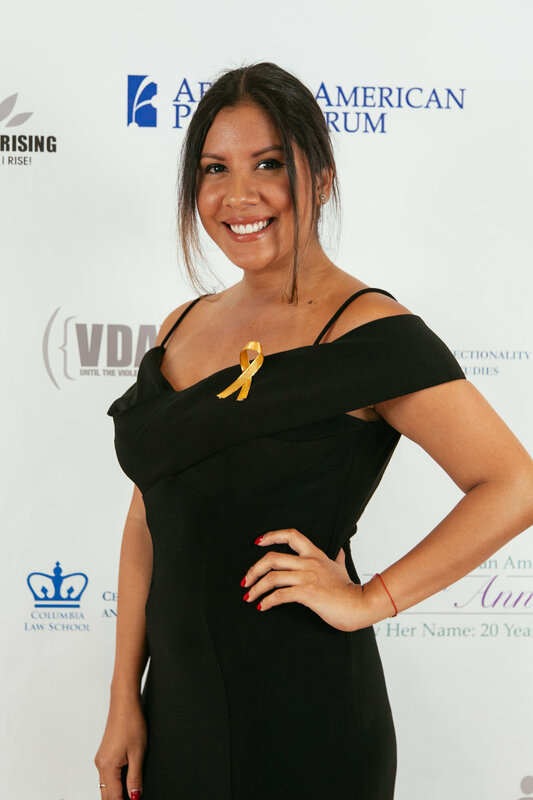 She spent most of her time behind the camera, serving as the videographer for events such as Breaking the Silence Oakland, Breaking the Silence New Orleans, and Oklahoma City Day of Accountability. 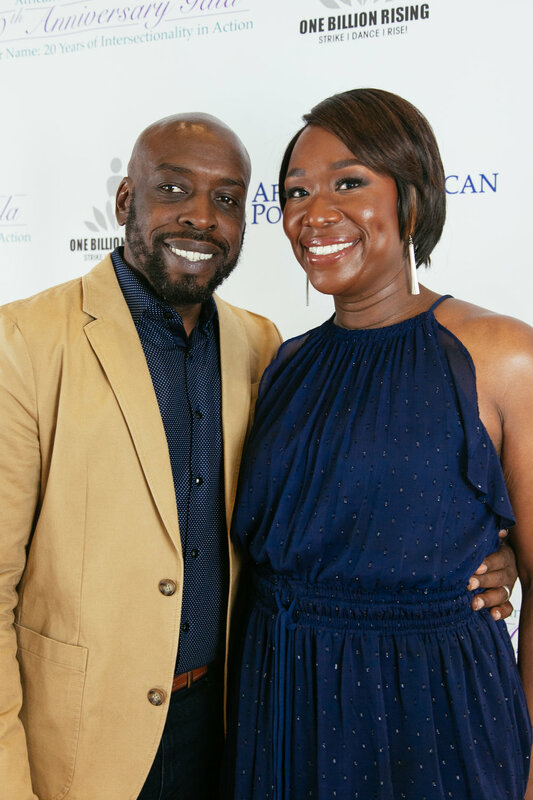 She stepped in front of the camera briefly in February 2016 when she served as a panelist for a Her Dream Deferred webinar entitled “Neglected at Home While Serving Abroad: The Story of Black Women Veterans”. Most recently, Phyllis wrote and directed "Being Billie: Re-imagining Billie Holiday," a feature length documentary examining Billie Holiday’s life as a Black woman who rose from the margins of society to become one of the most influential musicians of all time, and her subsequent impact on modern culture. 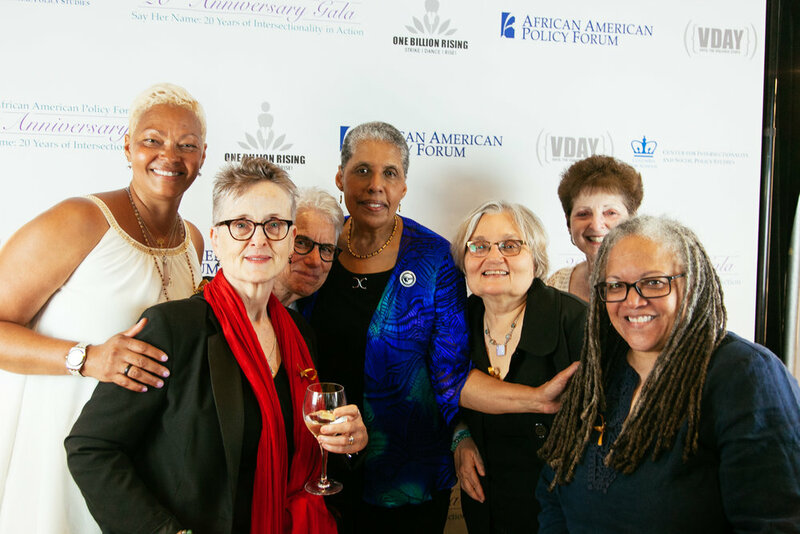 "Phyllis was the ultimate supporter of the African American Policy Forum," said Lisa Gissendaner, longtime friend of AAPF's and lead organizer of Breaking the Silence Ohio. 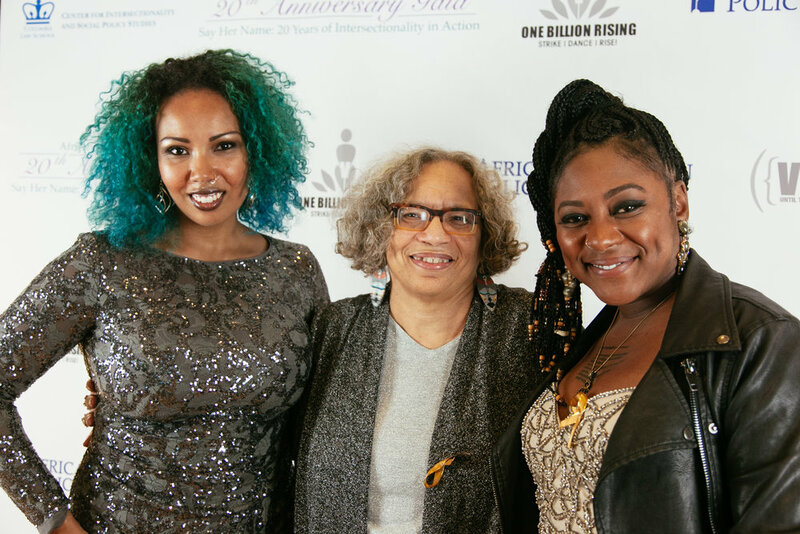 "Her passion for intersectional justice was embodied through her tireless efforts and work on her film, Being Billie, which I watched for the first time at AAPF’s annual Social Justice Writers Retreat in Jamaica. She left this work as a testament and homage to “the Lady” and Black women everywhere." Memorial services for Phyllis will be held at 3 p.m., on Saturday, September 30, 2017, at Studio 4, 231 Holliday Street in Baltimore, MD. Information on memorial services for Vicky will be released at a later date. On June 18th, Charleena Lyles, a pregnant mother of four, was killed by the police in her home, in Seattle, WA. Three of Charleena’s children were home when the shooting occurred, and there can be no doubt that witnessing the violent death of their mother will affect them for a lifetime. 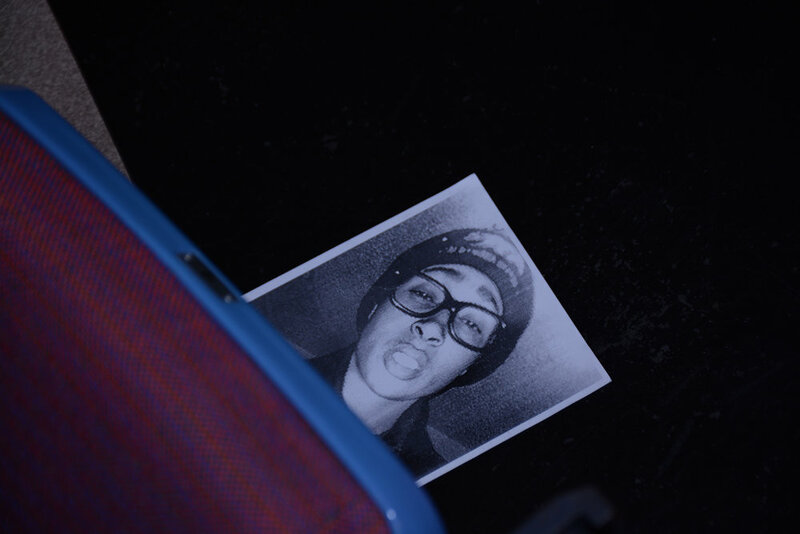 She had called the Seattle Police Department to report a burglary. The police officers knew that Charleena suffered from mental health issues and knew that she was a survivor of domestic violence and yet they did nothing to de-escalate the situation when they claimed Charleena brandished a knife. Charleena was a petite woman and her family has argued that the officers should have been able to subdue her with less than deadly force. 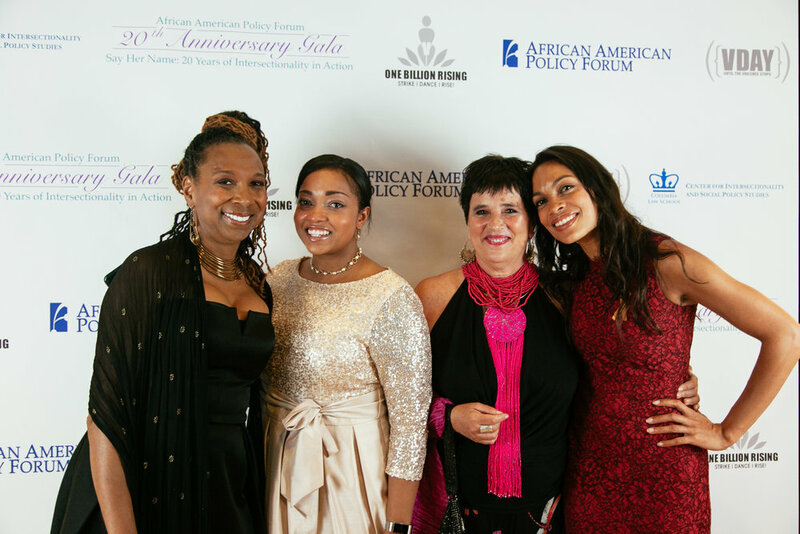 Several days after Charleena’s death, her cousin, Tiffani Hill of Los Angeles contacted the African American Policy Forum. She wanted to know what she should do to help raise awareness about what had happened to her cousin Charleena, and asked for support as she put together a vigil in Los Angeles where many of Charleena family members live. The vigil for Charleena took place at Leimert park a week after Charleena’s death. The family was joined by their pastor, community members, and Fran Garrett one of the mothers of the Say Her Name movement who lost her daughter in a similar encounter with police. The vigil consisted of prayer, song, reflection on Charleena’s life, and ended with the group Saying Her Name to lift up Charleena Lyles. Nabra Hassanen died a brutal death and we cannot look away. On the night of June 18th, Nabra Hassanen was abducted near the mosque where she participated in midnight prayer for Ramadan. She was beaten to death and her body was dumped in a nearby pond. She was only 17 years old. Our hearts are with her family as they mourn the loss of their daughter and with the friends of Nabra who were also chased by her murderer and unable to save their friend. We are sickened by this act of hatred and violence and grieve with her family and community members. Nabra was murdered during Ramadan, the holiest time of the year for Muslim Americans, and her parents believe that she was targeted for wearing a hijab and abaya - a traditional cloak worn by Muslim women. “He killed her because she’s a Muslim — this is what I tell the detective,” Nabra’s father stated. Despite the concerns of Nabra’s parents it only took the police a matter of hours to determine that Nabra’s murder was an act of “road rage” and not a hate crime. We are disturbed by the inference that these terms are mutually exclusive, and haunted by the reminder that authorities similarly found that a “parking dispute” drove the murder of three Muslim American college students in Chapel Hill in February of 2015. Considering the rise of racism, xenophobia and Islamophobia emboldened by the Trump Administration, the swift dismissal of hatred for Muslims as a motive seems premature and counterintuitive. Do we seriously believe a similar encounter of “road rage” involving a group of white teens dressed in jock gear would have ended with one of them being chased down, beaten, and taken to another location to be murdered? Do we really believe that Nabra’s presentation as a young Muslim woman didn't contribute to the rageful actions of the alleged murderer? According to the the Bridge Initiative’s report on the rise of Islamophobia during the 2016 elections, during first twelve months of the campaign season there were approximately 180 reported incidents of anti-Muslim violence, including: 12 murders; 34 physical assaults; 49 verbal assaults or threats against persons and institutions; 56 acts of vandalism or destruction of property; 9 arsons; and 8 shootings or bombings, among other incidents. Nabra’s death, as well as the violent harassment of two Muslim women in Portland (which resulted in the murder of the two men who came to their aid), only reinforces the fact that the rise of hate in the nation places women and girls of color in perpetual danger. America’s long history with vigilante violence includes vicious assaults against women as well as men, but this reality is sometimes overlooked in discussions of hate crimes. For example, a young Black woman was verbally assaulted, pushed and shoved at a Trump rally in Louisville, KY as Trump supporters yelled both racial and gendered slurs, but there is no indication that the attack is being assessed as a hate crime. Muslim American women have reported attackers attempting to rip off their hijabs, Latinx women report being taunted about their immigration status and the ‘wall.’ More dramatically, Deborah Pearl, a Black woman in Cleveland, was killed after a white man ran a red light, hit her car, and then got out and shot her four times with a rifle. This shocking homicide has undeniable racial overtones, yet in contrast to other high profile cases, it has garnered little to no attention. These cases suggest that there is a category of hate crimes that is not currently well understood nor directly targeted in reporting or data gathering. The Center for Intersectionality and Social Policy Studies calls these “intersectional hate crimes:” violence against populations who are subject to two or more vulnerabilities. The challenge here is that crimes against these populations are not typically recorded as hate crimes, or if they are, their intersectional components are not noted. In 2015, the FBI reported only 32 "multi-bias" incidents out of 5,850 total. This failure to report likely reflects a lack of awareness across several institutions about the contours of intersectional hate crimes and their effects, making it unlikely that victims of such violence can expect effective responses. Without narratives and data that draw attention to intersectional violence, it is unlikely that preventative efforts that do not center this vulnerability will be inclusive or effective. As we mourn the life that was taken far too soon from Nabra Hassanen we must recognize that Nabra existed at the intersection of several targeted groups. She was a Muslim young woman, a daughter of immigrants, and a Nubian Egyptian. This means that while her death is a manifestation of Islamophobic violence, it’s also a part of the global culture of violence against women, and compounded violence against women of color. As Muslim American women and girls struggle with the tension between expression of religious identity and fear for their personal safety, we must demand that Islamophobic, racist and gendered violence be framed as an extension of state policy and rising societal hate. We must insist that intersectional hate crimes are not marginalized or overlooked in our movements, and challenge ourselves to fight harder to protect the women and girls of color in all of our communities. Charleena Lyles should still be alive today. Her death fresh on the heels of the acquittal of Philando Castile’s murderer makes plain the ways that Black life continues to be devalued in our daily lives. As we mourn for Charleena and Philando we also lift up their families, particularly the children who had to witness the murder of a parent or parental figure. We are outraged by the continued violence against Black women and men, and the clear disregard for the endangerment of Black children. We are also concerned that the rise of overtly racist rhetoric seen across the country and propagated by the current president will continue to leave communities of color more vulnerable than ever before. 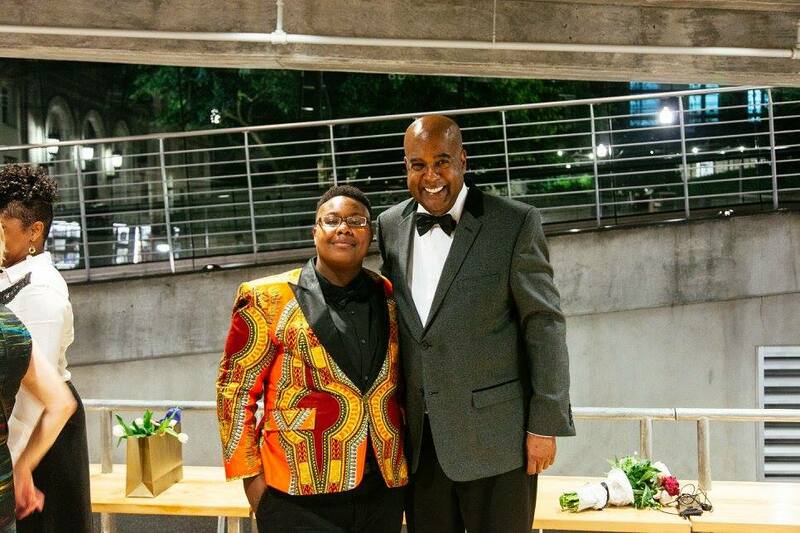 All too often women are afterthoughts in the struggles against state violence, however Charleena’s death reveals that her gender offered no protection against claims that deadly force was necessary. Charleena Lyles was a pregnant Black mother of four who called the police to report a burglary in her home. Tragically, like all too many Black women calling for help, her fears that she would be harmed were realized--not by the suspected burglar, but by the two white officers that entered her home. Three of Charleena’s children were home with her in their north Seattle apartment when the shooting occurred. Although physically unharmed, there is no doubt that witnessing the violent death of their mother will affect them for a lifetime. Charleena Lyles’ life and death reflect the ways that living as a poor, Black women with mental illness constitutes a grave risk of being killed by police. Deborah Danner, a Black woman who also lived with mental illness, wrote poignantly about the daily risk she faced of losing her life at the hands of police. Her worst fears come true when she too was shot to death in her apartment by a New York City police officer. In both cases, the fact that the women were known to police as suffering from mental illness did little to encourage officers to de-escalate the encounters. In fact, it’s not hard to imagine that their awareness of their mental illness may have lessened their commitment to save their lives rather than to endanger them. The audio recording from the officer’s dashcam shows that they knew going in that there were mental health issues that would prompt de-escalation techniques, yet they resorted to deadly force when, according to their account, the petite woman brandished a knife. Like so many other Black women who were killed by the very officers who were called to help--women like Natasha McKenna, Tanisha Anderson, Aura Rosser--we grieve for Charleena Lyles and demand that we #SayHerName in the pursuit of justice for her and her children. Yet the acquittal of Philando Castile’s killer shows that we have a long way to go in the fight for police accountability. Philando Castile did everything he could to mitigate the officer’s fear, he was courteous, and informed the officer of his firearm and yet it appears that an officer's fear is always reasonable no matter how hard we try to assuage it. Holding officers accountable for these senseless shootings will be virtually impossible so long as an officer’s claim of fear is greater than any and all evidence that less lethal measures were available. Homicide should never be justified as prophylactic measures to allay the anxieties, whims, biases, and distortions of state employees equipped with a badge and a gun. As a society, we must ask ourselves if someone can truly be fit to serve as an officer if they are afraid of the community they are supposed to serve and protect. We must insist that officers cannot be both innocent victims of fear and executors of state violence. 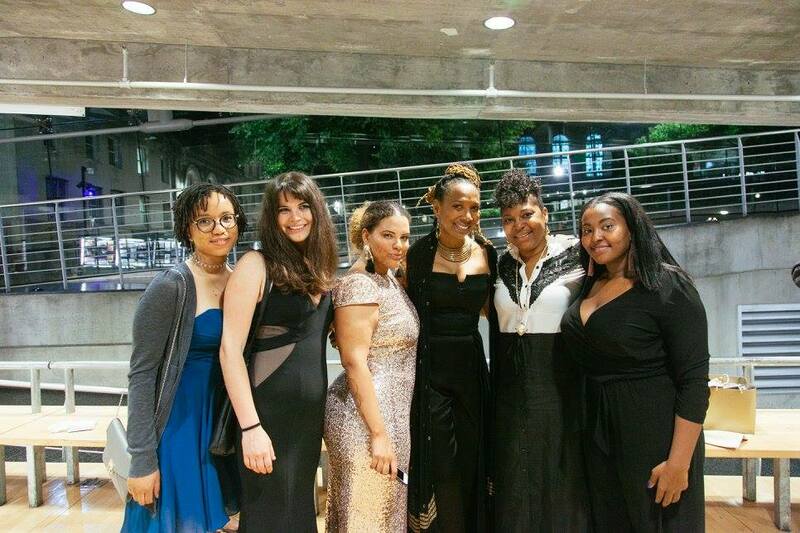 Thank You For Helping Us Ring in 20 Years of Intersectionality! 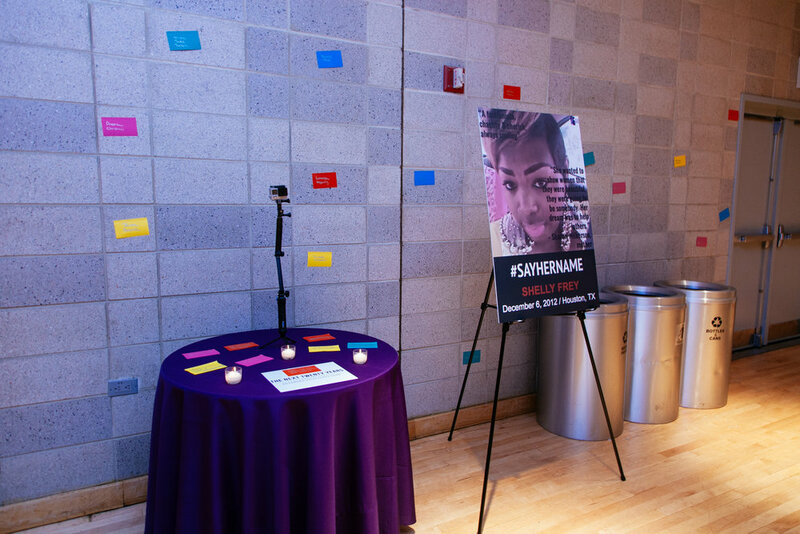 Thank you for your support of our 20th Anniversary and our Say Her Name: 20 Years of Intersectionality in Action Gala! 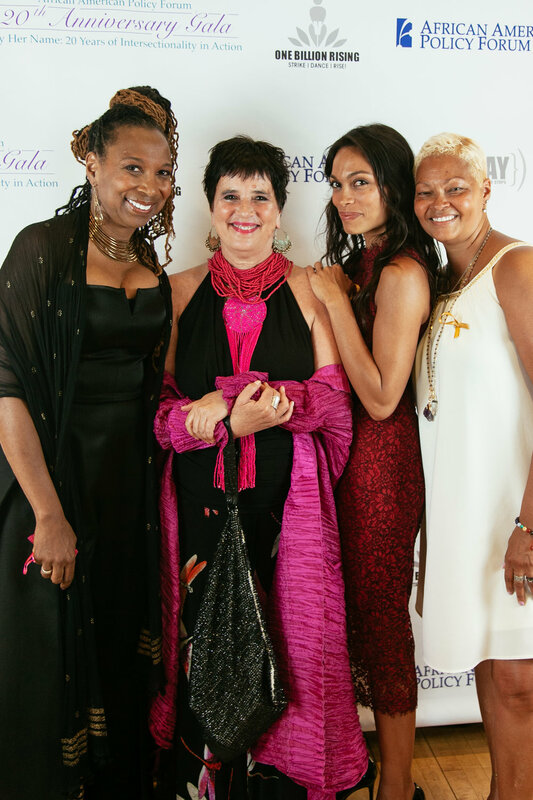 The amazing generosity of individuals like you is what made it such a success and is what enables AAPF to continue nurturing and developing intersectional community building, activism, and research, as we center and uplift women and girls of color. Enjoy the photos below and share yours on social media using the hashtag #AAPFTurns20! Calling All Young Artist Activists! 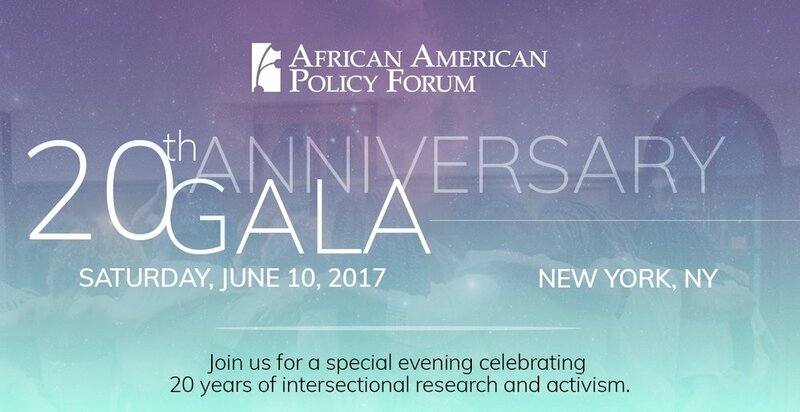 In celebration of its 20th anniversary, the African American Policy Forum wants to hear from you! 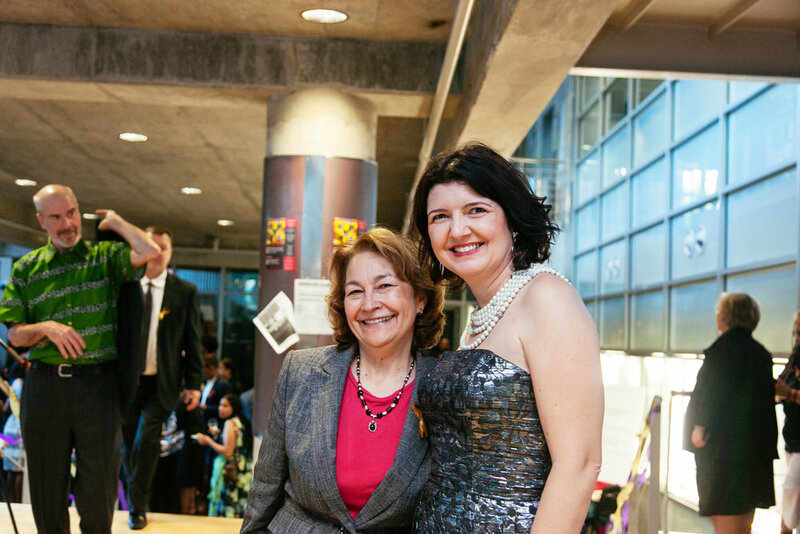 If you are between the ages of 13 and 22, enter your original artwork for the chance to be featured at AAPF’s 20th Anniversary Gala. 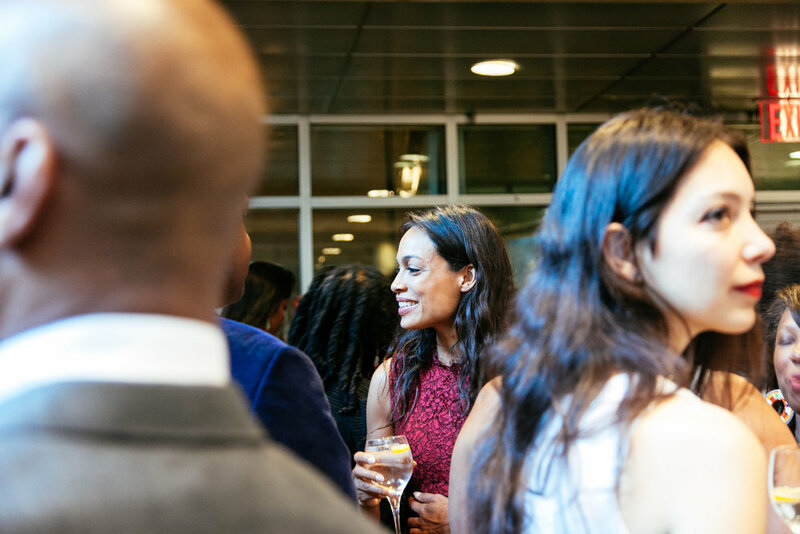 Six winners will be selected for the opportunity to come to New York City to attend the Gala, which will celebrate 20 years of the Forum’s work advancing and expanding racial justice, gender equality, and the indivisibility of all human rights. In recognition of the transformative power of art to communicate, unite, and advocate, we seek to celebrate the dynamic vision and unique voice of young artists everywhere. 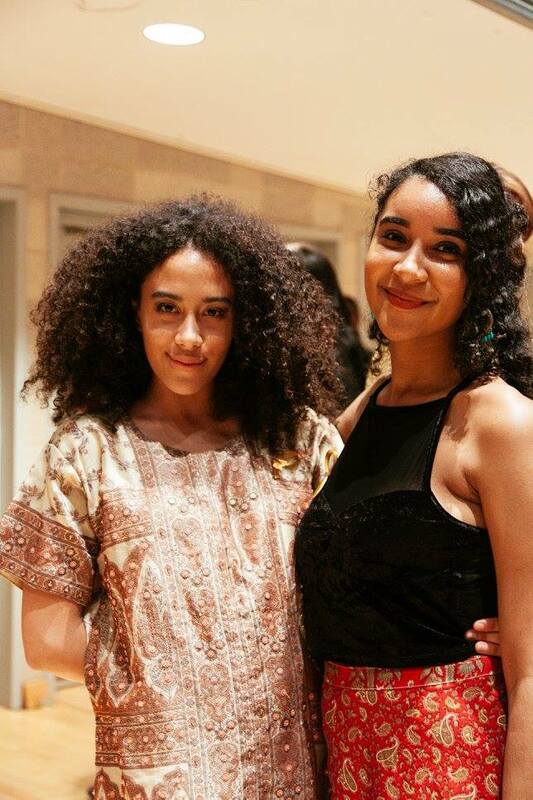 We encourage entries to draw inspiration from one of our campaigns to promote an intersectional framework, including: #BlackGirlsMatter, #BreakingTheSilence, #HerDreamDeferred, #SayHerName, and #WhyWeCantWait, or art that ties to intersectionality generally. We are accepting artwork in each of the following categories: 1. Music; 2. 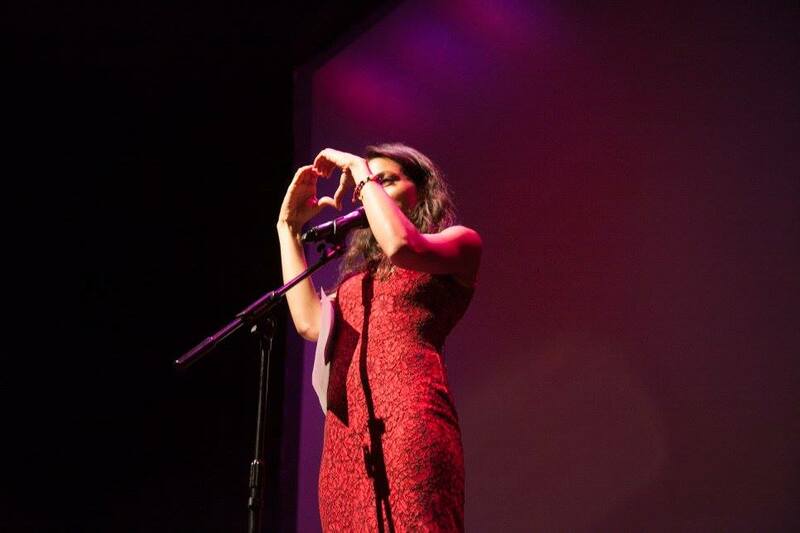 Spoken word/theatrical performance; 3. Dance; 4. Visual art and photography. Entries will be judged in three age groups, 13-15, 16-19, and 20-22. One standout performative piece and one stand out visual piece will be selected as winners in each age group and will receive a $250 cash prize. Grand prize winners will receive the cash prize and have the chance to come to NYC and present/perform their art at the Gala! TO ENTER: Fill out this form and upload your art for submission by Monday May 1, 2017. Please keep all videos to five minutes or less. Winners will be announced by May 15th. Contact artscompetition@aapf.org if you have any questions. Event Dates: Mar. 28—30, 7:30 p.m.
To stay up to date on the event, check out our event page here. The Army’s decision to suspend its Environmental Impact Assessment and move forward with the pipeline is a vicious attack on the environment and all indigenous people. The corporate greed and violent racism behind DAPL cannot be separated from the forces that propel the proposed Muslim Ban and US-Mexico Wall, nor the systematic oppression and disenfranchisement of Black people in America. We encourage you to visit everydayofaction.org to stay informed about upcoming actions and to register ones that you are planning. We also encourage you to donate to organizations such as Sacred Stone Legal Defense Fund, Last Real Indians, and the Standing Rock Medic + Healer Council, and to continue encouraging the people and institutions around you to divest from the banks that are funding DAPL. (Click here for a full list). In these deeply troubling times, we can follow the lead of our indigenous relatives by honoring the strength and power that lies within each of us and in our connections to one another and the Earth. As we continue to resist the onslaught of hate and violence coming at us in all directions from the Administration, we must also care for ourselves and each other as we build intersectional coalitions and movements that serve our vision of universal liberation for all. This past weekend, we were honored to host our town hall series in Greensboro, North Carolina. See some highlights and feedback from our attendees below! 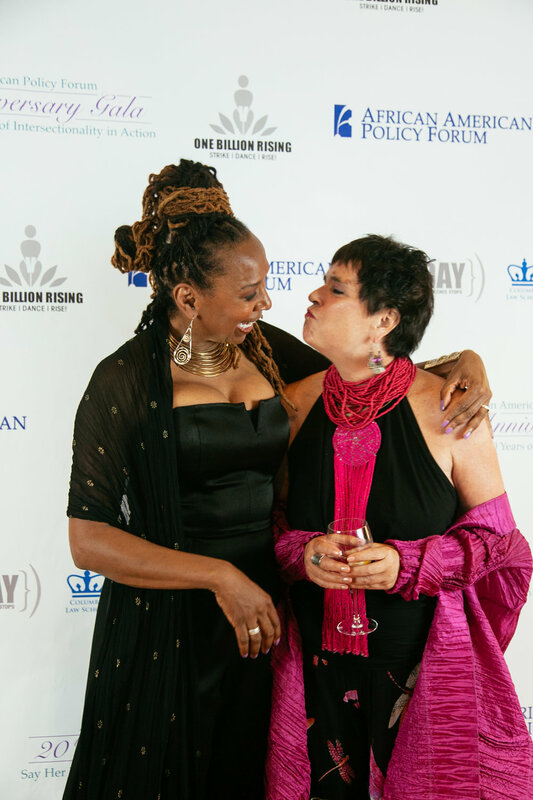 On January 20, in preparation for the next day’s march, AAPF joined Eve Ensler and One Billion Rising for “The Poetry of Rising and Resistance.” Hosted at Busboys and Poets, the event brought together hundreds to eat, drink and discuss the upcoming rally. Social justice leaders and several artists, including Grammy-nominated singer, Hollis Wong-Wear and noted documentarian Michael Moore, got up on stage to discuss the possibilities for progressive resistance in the new era of Trump. 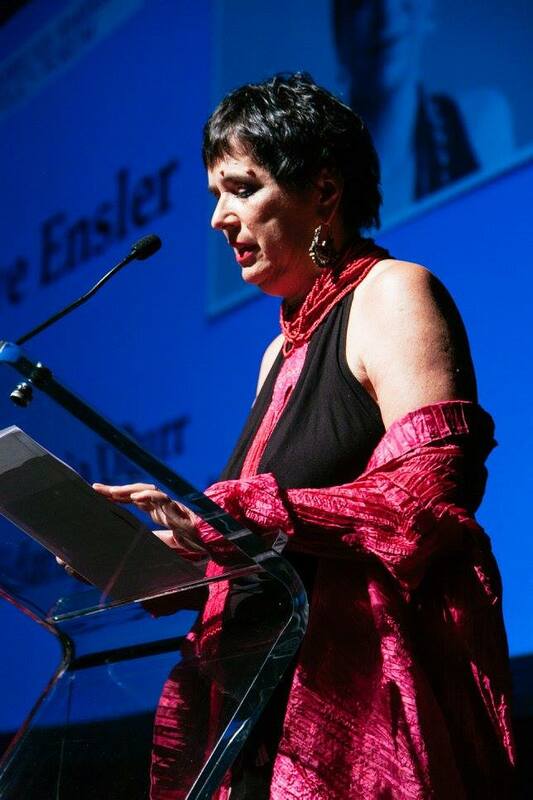 Renowned playwright and AAPF Board Member, Eve Ensler, recited a rousing poem, chanting "it is not alright!" to the crowd. 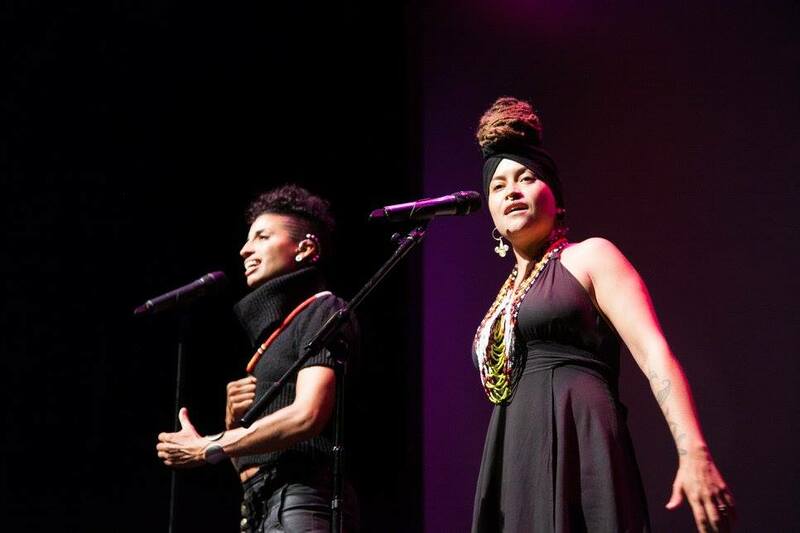 As the night came to a close, Kimberlé brought Abby Dobson, AAPF Artist-in-Residence, to the stage to perform Say Her Name, asking the audience to reckon with state violence against Black women and girls and elevating their place within the context of the coming march. We also debuted our new “Predator-in-Chief and his villainous villains” design. A humorous take on a dark subject, the design was wildly successful throughout the weekend, popping up on signs and posters at marches across the country. On January 21, AAPF took to the streets with the ground-breaking half-a-million protesters marching in Washington D.C. Amidst the calls and chants for massive resistance to the incoming administration’s agenda, our team raised our voices to highlight the special role that women and girls of color must play in the future of social justice. 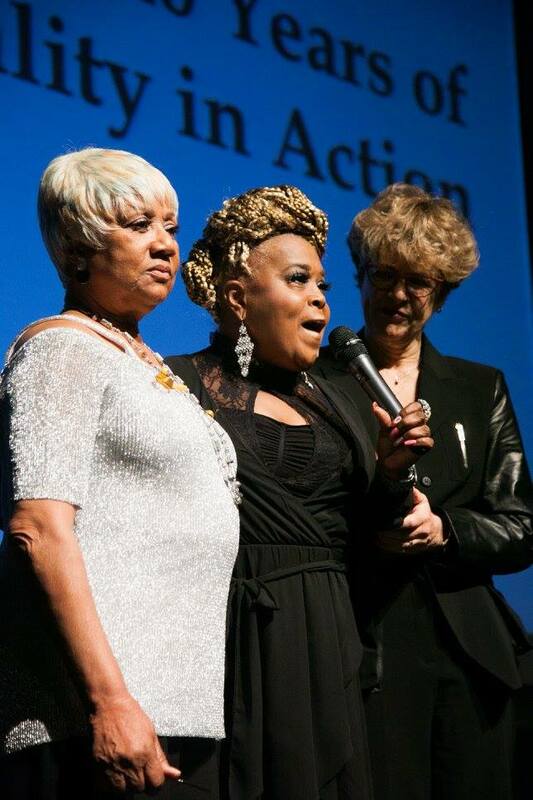 Together with Fran Garrett, the mother of Michelle Cusseaux, Rhanda Dormeus, the mother of Korryn Gaines, and Vicky Coles-McAdory, the “Auntie-Momma” of India Beaty, we marched for the recognition of the Black women killed by police. We are deeply thankful to One Billion Rising, V-Day and all those who joined us for lending their voices to center Black women and girls in a space that was largely white and, at times, exclusionary of many of those who are structurally marginalized in our society. 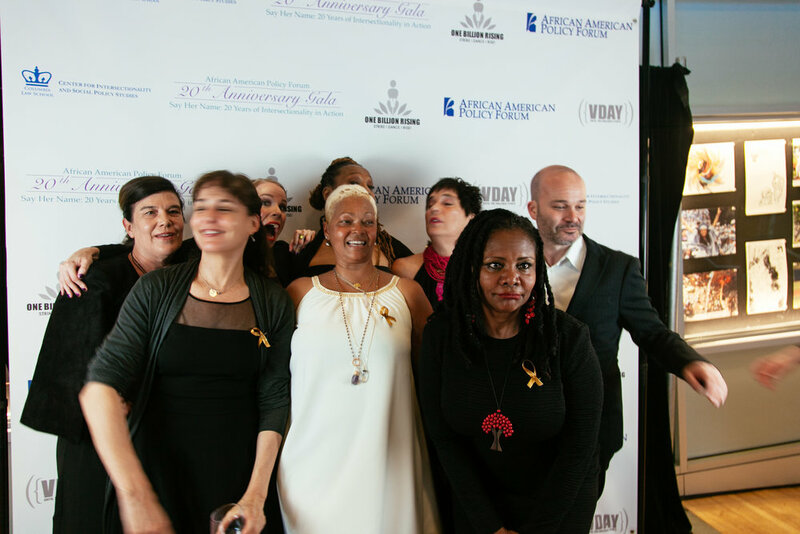 The AAPF team and friends. #SayHerName marched in Denmark too! 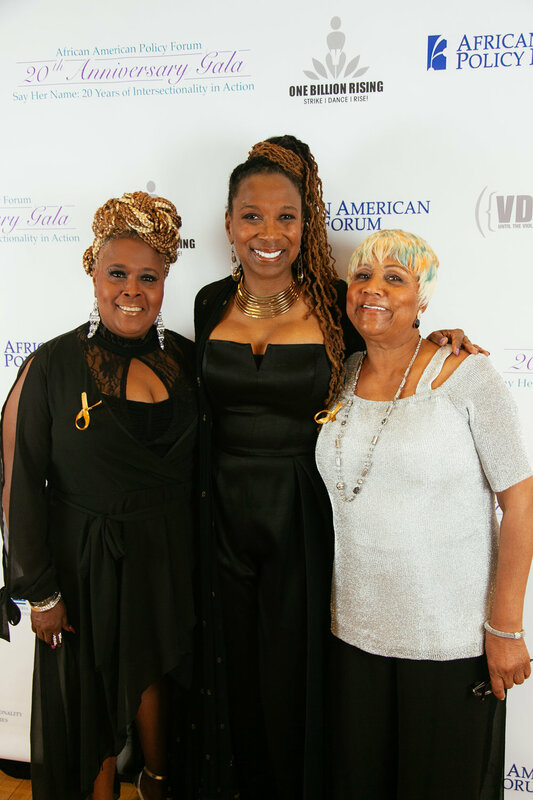 In the aftermath of the March, our Executive Director Kimberlé Crenshaw and Associate Director Julia Sharpe-Levine participated in Where We Go From Here: A Women’s Reception and Town Hall hosted by the National Domestic Workers Alliance. Sitting alongside other giants in contemporary feminist activism including Cecile Richards (Planned Parenthood), Linda Sarsour (The Women’s March; Arab American Association of New York), and Claudia Galindo (National Domestic Worker’s Alliance), Kimberlé spoke on the state of contemporary intersectional activism and the need to deepen our engagement with uplifting and advocating for those who experience oppression across the spectrum of identity. Afterwards, Julia offered the crowd tips on how to utilize the momentum from the march to support women and girls of color as well as different ways to incorporate intersectional thinking into their movements. We left the Women's March with a greater understanding of the state of intersectional activism and the work that lies ahead. 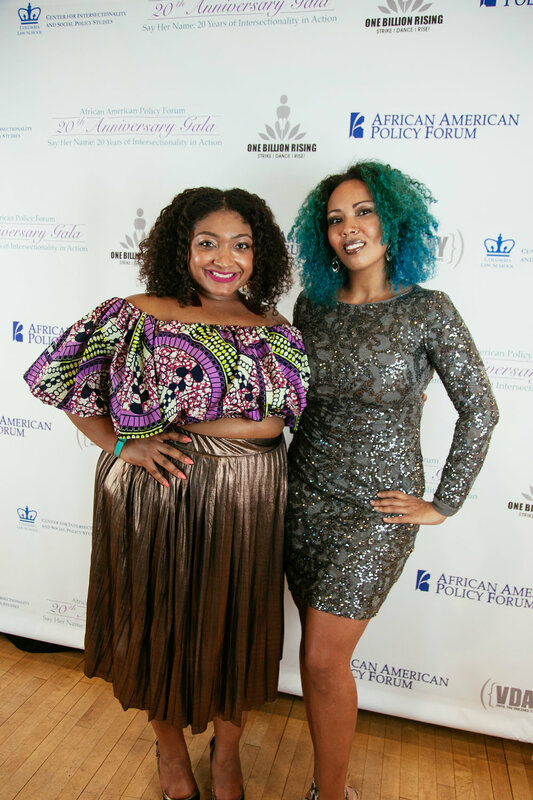 AAPF must redouble its commitment to educate and advocate around intersectional feminism; to raise awareness of the issues faced by women of color at the margins of our society; to support the leadership of women of color; and to demand accountability from our allies as we push for a cross-coalitional movement that supports all of us. If you too walked away from last weekend determined to do more, we urge you to stand with us. It is essential that we show up and work with each other. Only then can we build a truly interconnected movement of movements that is centered around the experiences of those who are most vulnerable.